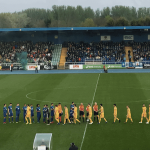 Waterford FC extended their lead at the top of the First Division table to six point after a 2-1 win at home to Wexford FC on Friday evening. Waterford FC will look to return to winning ways this Friday when Wexford FC visit the RSC for the fourth meeting between the sides this season. 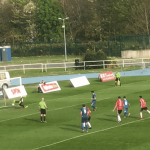 Waterford FC U17s produced a superb performance to move to the top of the Under-17 Southern Elite Division as the Blues trounced leaders Shamrock Rovers 5-1. Waterford FC were forced to settle for a point after a late equaliser saw Shelbourne grab a 1-1 draw in Tolka Park in the League First Division.